A few years ago, I worked on possibly the best set of books I’ve ever been involved with. 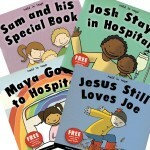 The series is called Held in Hope, and they are Christian stories about sickness and death for young children (under 7). I worked with the experienced, wonderful and wise chaplains at Birmingham Children’s Hospital and a talented artist, Rhiannon Molart, and even got Bear Grylls to do the voice over on the videos of the books! As a result of the project, I sometimes get asked to speak on issues of bereavement so I thought it would be helpful to have a post of some of the things I share. 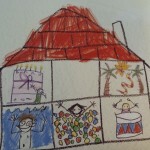 This post is from a workshop I did called ‘Sharing love, hope and faith with hurting families’. I hope you find it useful. How can we best support young children and adults affected by miscarriage and bereavement? How can we talk about sickness and death in a way which encourages faith in God? How can we bring Jesus’ light and love in their lives? How can we share love, hope and faith? Faith: We might share our faith with hurting families when we share what we think and believe about sickness, death or miscarriage. 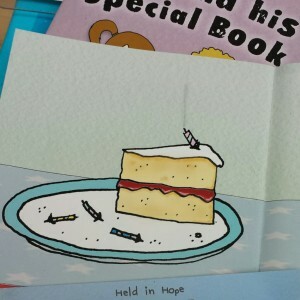 Hope: We can share hope when we speak into their lives to bring hope, to speak positive possibilities. Love: This is the greatest. The most powerful and probably often the only things really needed. But what is love? This passage in The Message expresses it well. It start with “If I speak with human eloquence and angelic ecstasy but don’t love, I’m nothing but the creaking of a rusty gate.” Do take a moment to check it out. Stories are a great way to explore faith. They give us an opportunity for open ended questions, for letting people relate explore their own situation in the medium of story, gives a bit of distance and another perspective and language to describe ourselves. Godly Play is great for this! 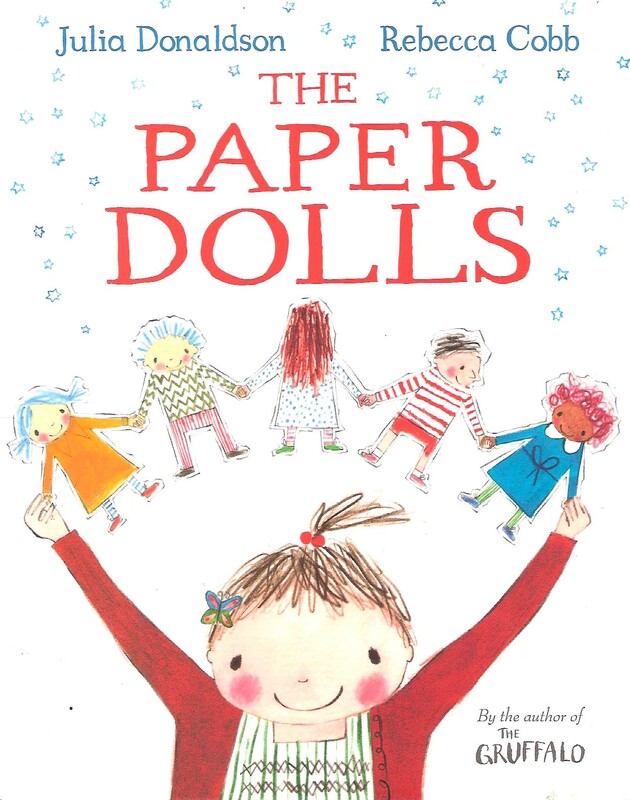 This story is by Julia Donaldson and available here. I wonder which part of the story you liked most? I wonder which part of the story you feel links with miscarriage and bereavement? 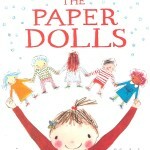 This is a series of books Victoria helped write and produce for children who are sick or dying or bereaved. They all come with an accompanying video. Q What made the most impact on you? Did anything surprise you? Q What tips could you take from this story on how to share love, hope and faith with hurting families, especially children? • Stick to what we know. What does the Bible tell us? • Don’t be afraid to say you don’t know. We don’t know everything. • Keep it age –appropriate. Children’s understanding of death naturally relates to their age and development. See table in Supporting Dying Children and their Families, see below for details. • Set up an understanding of sickness and death in advance of an emergency situation. • Remember: We have a redemptive God. 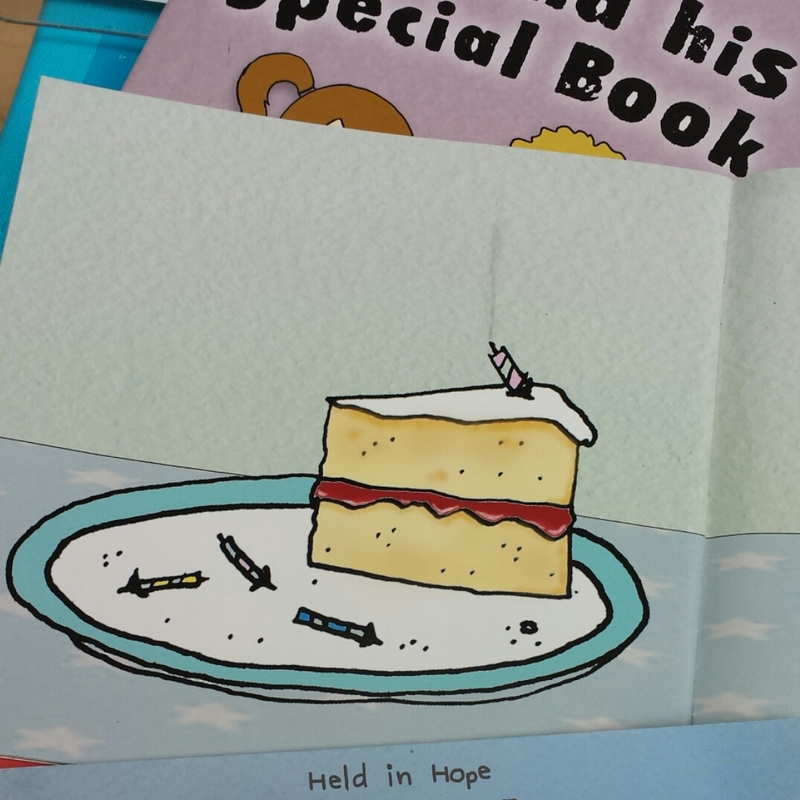 In the Held in Hope story, Sam’s Special Book, he explores the concept in John 14:2: There are many rooms in my Father’s house. I wouldn’t tell you this, unless it was true. I am going there to prepare a place for each of you.”, and he imagines what his and his family’s rooms in God’s house might be like. 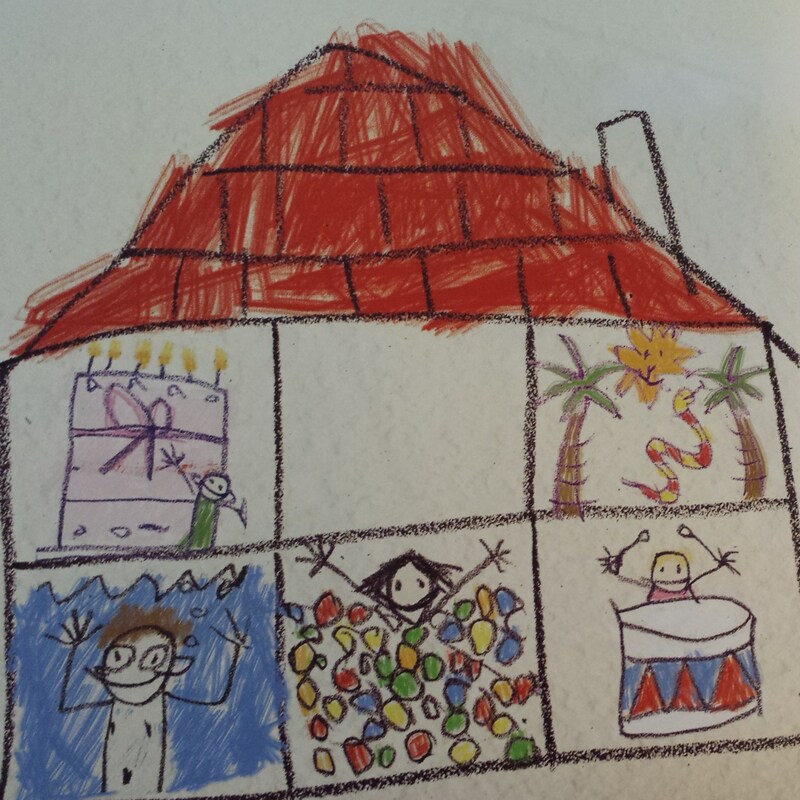 Have a go at drawing your own room in God’s house. It’s good to think about ways we can include talking and thinking about sickness and death as part of our normal time with children so that they are equipped with language and symbols and faith when they need it. A really brilliant book for anyone wanting to learn about caring for sick and bereaved families is Supporting Dying Children and their Families: A handbook for Christian Ministry by Paul Nash, SPCK. 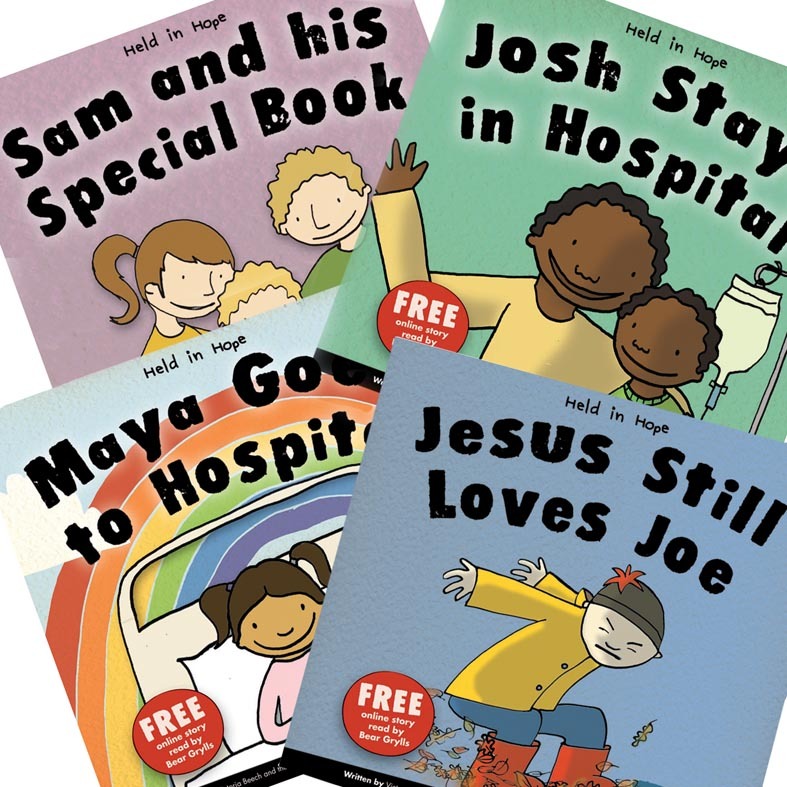 It includes lots of case studies as Paul is the Senior Chaplain at Birmingham Childrens’ Hospital, and leads a team giving excellent spiritual care for the children, families and staff involved there. If I always know the best way to share Jesus with children and their carers, but do not have love, I am only a resounding gong or a clanging cymbal. If I have the gift of perfect play dough and can fathom all things children say (even when all their words sound very much like ‘dada’), and if I have a huge, well resourced toy cupboard and loads of training on caring for people, but do not have love, I am nothing. If I give presents to all the families each year and give over my body to scrubbing paint off the floor every week, but do not have love, I gain nothing. (NIV)… And now these three remain: faith, hope and love. But the greatest of these is love.